Who should not take Perphenazine? What conditions does Perphenazine treat? List Perphenazine side effects by likelihood and severity. Before using this medication, tell your doctor or pharmacist your medical history, especially of: decreased bone marrow function, serious head injury, liver problems, nervous system problem (such as coma, drug/alcohol overdose, shock), Parkinson's disease, history of alcohol/substance abuse, low blood pressure, breathing problems (such as asthma, emphysema), breast cancer, fast/irregular heartbeat, heart valve problems, a certain adrenal gland tumor (pheochromocytoma), restless legs syndrome, seizure disorder, a certain severe reaction to other medications (neuroleptic malignant syndrome), difficulty urinating (e.g., due to prostate problems). The risk of QT prolongation may be increased if you have certain medical conditions or are taking other drugs that may cause QT prolongation. 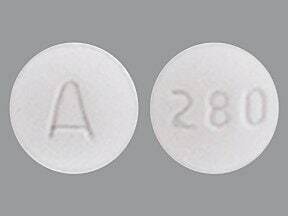 Before using perphenazine, tell your doctor or pharmacist of all the drugs you take and if you have any of the following conditions: certain heart problems (heart failure, slow heartbeat, QT prolongation in the EKG), family history of certain heart problems (QT prolongation in the EKG, sudden cardiac death). What should I know regarding pregnancy, nursing and administering Perphenazine to children or the elderly? Some products that may interact with this drug are: certain drugs used for Parkinson's (e.g., bromocriptine, levodopa, pergolide), certain anticholinergic medications (e.g., dicyclomine, scopolamine), drugs affecting liver enzymes that remove perphenazine from your body (e.g., amiodarone, duloxetine, fluoxetine, paroxetine, ritonavir). Does Perphenazine interact with other medications? 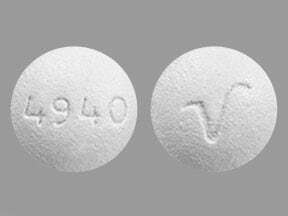 This medicine is a gray, round, film-coated, tablet imprinted with "4940" and "V". 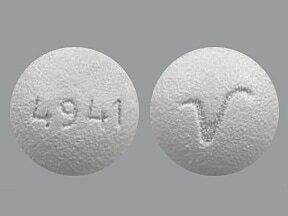 This medicine is a gray, round, film-coated, tablet imprinted with "4941" and "logo". This medicine is a white, round, film-coated, tablet imprinted with "A" and "280". This medicine is a white, round, film-coated, tablet imprinted with "A" and "281". 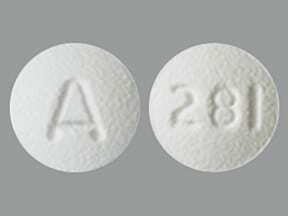 This medicine is a white, round, film-coated, tablet imprinted with "A" and "282". This medicine is a white, round, film-coated, tablet imprinted with "A" and "283". 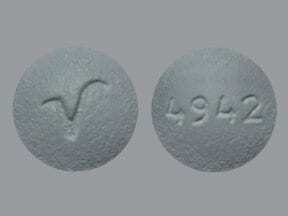 This medicine is a gray, round, film-coated, tablet imprinted with "4942" and "logo". 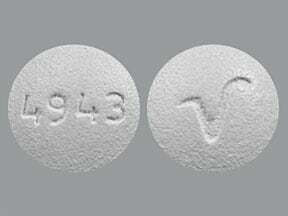 This medicine is a gray, round, film-coated, tablet imprinted with "4943" and "V". 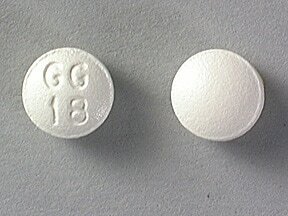 This medicine is a white, round, film-coated, tablet imprinted with "GG 18". This medicine is a white, round, film-coated, tablet imprinted with "GG 107". 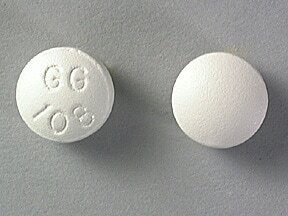 This medicine is a white, round, film-coated, tablet imprinted with "GG 108". 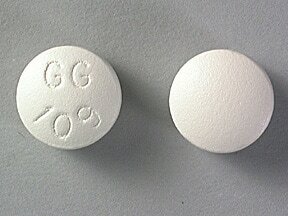 This medicine is a white, round, film-coated, tablet imprinted with "GG 109". Are you considering switching to Perphenazine? How long have you been taking Perphenazine?